…and start talking about the risk of running out of beds. Does anyone recognise this conversation around planning bed capacity? Not desperately scientific, is it? Nobody had any idea what 85 (or indeed 95) per cent bed occupancy represented in terms of risk. So numbers were loosely bandied about, and in the end (as so often happens in NHS planning) the capacity was squeezed to fit the finances. This ubiquitous 85 per cent figure is widely cited by the Royal College of Surgeons, the Royal College of Emergency Medicine, and the Royal College of Nursing as the safe limit. Even the usually-meticulous National Audit Office stated “Our previous work has found that bed occupancy above 85% can lead to regular bed shortages, periodic bed crises and increased numbers of hospital-acquired infections”, which sounds like a promising bit of original research but is the start of a reference trail which eventually leads back to the same source as all the others: a 1990s spreadsheet simulation of 200 hypothetical acute beds, whose conclusion that “Risks are discernible when average bed occupancy rates exceed about 85%” has become a magic number for all hospitals to aspire to. More recently NICE looked for real-world evidence that risks such as hospital acquired infections, mortality, length of stay, emergency department waiting time, and readmission rates might be worse at high bed occupancy, but unfortunately the quality of evidence was graded “very low”. They concluded that “Healthcare providers should: … Plan capacity to minimise the risks associated with occupancy rates exceeding 90%” while noting that “optimum occupancy levels may vary with the size and type of the hospital (small versus large hospitals or tertiary versus general hospitals), case mix, the degree of predictability of bed availability from different wards and seasonal effects (winter period with more infections)”, which takes the crucial step of recognising that no single bed occupancy figure is going to be right everywhere. There is some evidence that high bed occupancy is associated with a higher risk of long waits in the emergency department, with NHS Improvement putting the threshold at 92 per cent occupancy, and NHS Providers plumping for 88 per cent as the level when long waits tend to rise. All of that was for adult general and acute beds, which tend to form the largest bed pool in an acute hospital. The recommended bed occupancies are even lower for smaller, higher-risk bed pools where variation is harder to absorb. In neonatal units the British Association of Perinatal Medicine previously went for 70 per cent as a sensible cot occupancy, whereas the Department of Health have recommended “Planned capacity should not exceed an average occupancy of 80%, as the increase in mortality becomes statistically significantly worse above this level”. Whichever bed pool we look at, today’s bed occupancies tend to be much higher than these recommendations. That of course is a bad thing, but it begs several important questions. What level of risk do today’s excessive bed occupancies mean? What level of risk would be acceptable, considering the impact of running out of beds on clinical safety and the wider hospital? And what can we do to avoid or mitigate these risks? 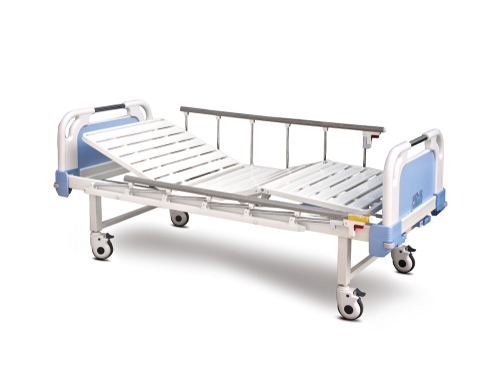 If a hospital is running at 95 per cent bed occupancy in its general and acute beds (a level exceeded by 17 trusts in quarter 2 of 2018-19), should they expect to run out of beds 10 per cent of the time, or 30 per cent? It matters: you might struggle through the former by cancelling elective surgery and letting queues build up in the emergency department from time to time, but the latter is a different level of pressure altogether. And what about the consequences? If running out of general and acute beds means cancelling routine elective surgery, then clearly that is not desirable, and the delay may increase clinical risk to the patient but it would not usually be immediately life-threatening. A hospital might accept this happening as often as several hours per week – a risk of several per cent. But running out of maternity, paediatric, or critical care beds is altogether more serious for patients. The acceptable level of risk would be much lower – even a few hours per year, or around 0.1 per cent, might have serious safety implications. So risk is a much better basis for informed discussion than bed occupancy. Once we can identify the consequences of running out of beds, and agree the acceptable risks of that happening, it should then be a technical exercise to calculate the corresponding levels of bed occupancy. And this leads to several further questions. How can we calculate bed occupancy? We will look at this in part 2 and part 3 of this series. If there aren’t enough beds, then where should clinicians and managers focus their efforts? Morning and weekend discharges? Or dealing with the longest lengths of stay? We will look at this in part 4. Do morning discharges help with 4 hour waits in the emergency department? We will answer this in part 5. How should bed occupancy differ from one hospital to another, and from one bed pool to another? How are paediatric and maternity beds different from general and acute? We will compare them all in part 6. Finally, what are the implications for elective care? We will look at how an understanding of risk can inform the debate about separating hot and cold facilities in part 7.